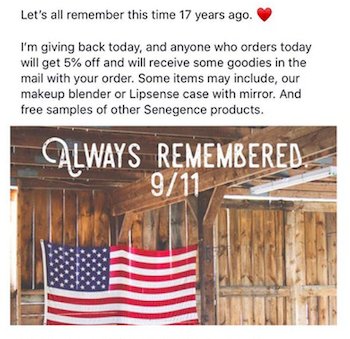 Is no tragedy safe from being turned into a sales opportunity by MLM reps? 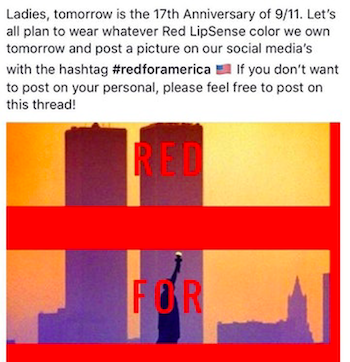 Is there no depth too low for an MLM rep? 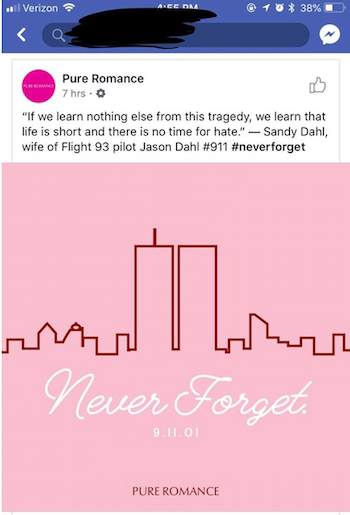 Find out why tragedies like 911, killer hurricanes and the sad loss of a baby are sales gold for cynical MLM reps.
After researching MLMs for over a year, we’re used to seeing bad taste sales pitches and unethical attempts at recruiting. 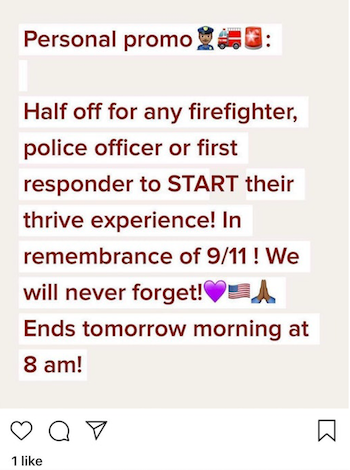 But nothing shocks us more than the eagerness with which MLM reps turn a tragedy into a sales opportunity. 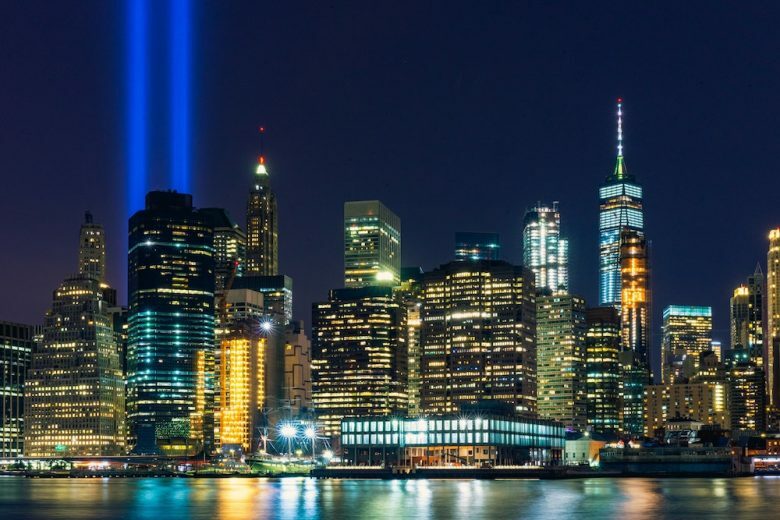 As you’re aware, yesterday was the anniversary of 911 – a tragic day in which almost 3,000 people lost their lives. 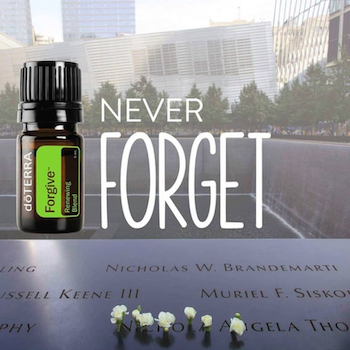 An event that still haunts the relatives of the dead, and the emergency responders battling health conditions today as a result of their bravery. 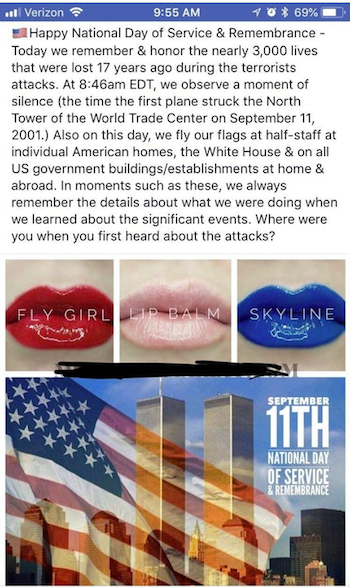 But to some MLM reps, 911 is simply a fantastic opportunity to hawk more of their products. Don’t believe anyone would stoop that low? 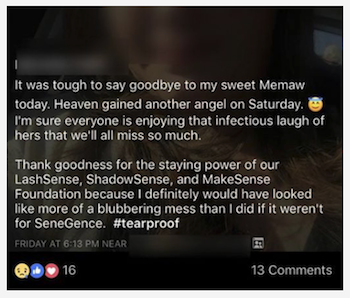 Here’s just a selection of some of their sales attempts (sorry, ‘memorial posts’) from social media (thanks to antiMLM reddit for finding and sharing these). 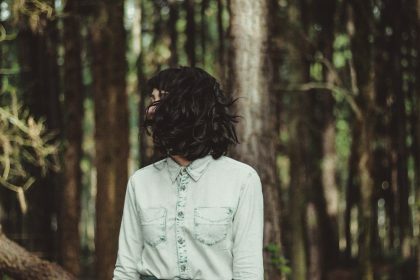 If that wasn’t bad enough…. 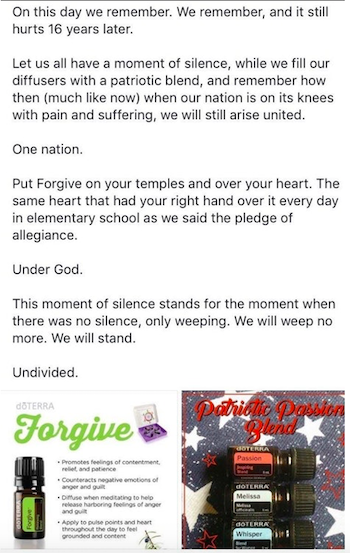 Is it any wonder, with leadership like this, that MLM reps feel comfortable trashing what is a tragic day of mourning and remembrance? 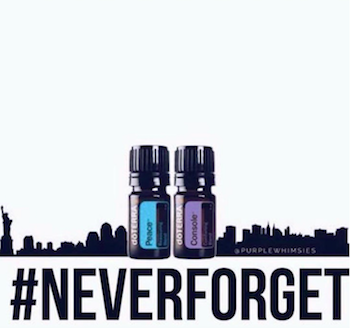 That they feel morally justified in using terrorism and death to sell products? 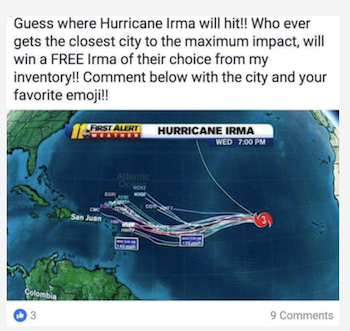 Let’s turn a killer hurricane into a fun game! 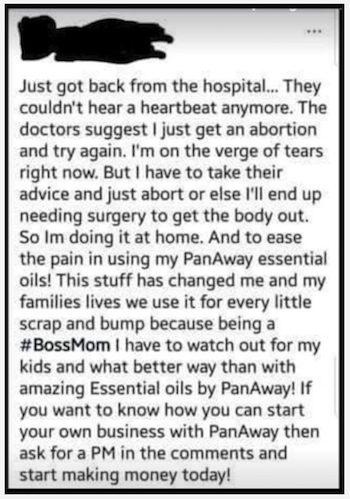 Your baby died? 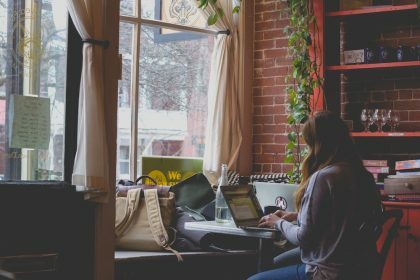 Great – you can make more money! 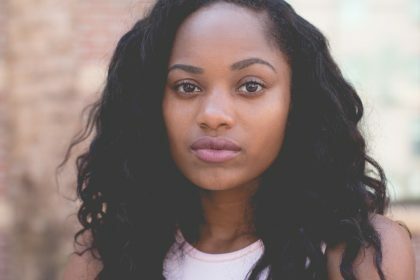 These examples are just the tip of the iceberg when it comes to the manipulation and all out lies that some MLM reps are happy to use in their desperation to recruit and sell. 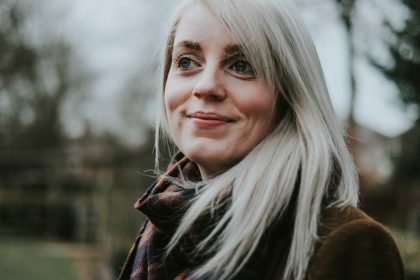 How much money can you earn with MONAT, the new MLM coming to the UK? 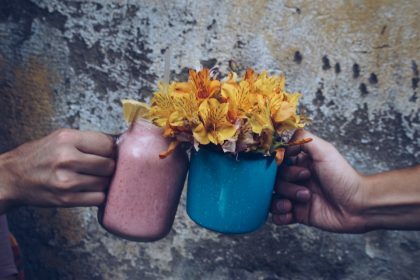 How much can you earn with MLM Nu Skin?